October is here and it’s NaNoWriMo season. 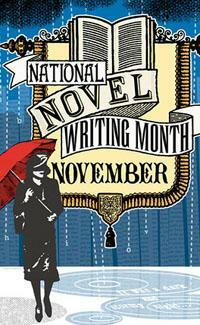 NaNoWriMo, as you may recall, is an annual event where authors strive to write 50,000 words during the month of November. That’s a grueling 1,667 words per day. I say grueling because I compare it to writing 3 blog posts of about 500 words per day. Ouch! Of course, no judgment is passed on the quality of the writing – the goal is strictly to get to 50,000 words. The idea is to inspire new writers to get in the discipline of writing daily. The editing and revisions come later. The event has become very popular and last years had 79,000 entrants, of whom 13,000 made it to the 50,000 word mark. But what about the story itself? Wouldn’t it be nice to have some feedback on the overall story itself before you make the time investment required for 50,000 words? How about a pre-event NaNoPreMo (for National Novel Preview Month) to test out your concept? Here’s how it might work. Capture the essence of your storyline in visuals with a digital camera, or a camera equipped cell phone. The nice thing about using a cell phone is that you’re more likely to always have that with you – important, since ideas can occur anywhere. Next, e-mail your pictures to your Flickr (or other photo site) account. Mark it as private if you don’t want to share it with others. Tag your photos to make it easy to organize and assemble them later. Put them into a simple pecha kucha style PowerPoint. (Recall that the pecha kucha format is 20 slides, 20 seconds for each slide.) Add text and / or audio as needed. Show your stuff at a pecha kucha event to gather feedback. These showings could be sponsored by local NaNoWriMo groups. Let the feedback occur during socializing / networking that follows the presentations. The process wouldn’t be too time intensive and could be a good precursor to an in depth book outline. I would run NaNoPreMo during September and give aspiring authors all of October to adjust their story outlines in preparation for the November frenzy. The first step in writing a novel is having a good story that people will want to read. Something like NaNoPreMo could help new writers get over that hurdle before they confront the spectre of the word meter. This entry was posted in author tools, readership strategies and tagged , Flickr, NaNoWriMo, pecha kucha. Bookmark the permalink.